A Yosemite Backcountry crew uses rock bars to hoist and maneuver two-ton boulders into place to build a trail. 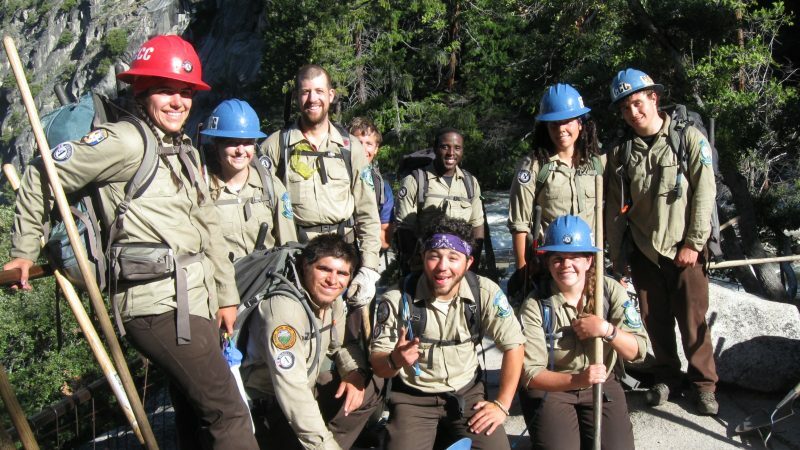 The Backcountry Trails Program (BCTP) was established in 1979, then later became a special joint program between the California Conservation Corps and AmeriCorps. 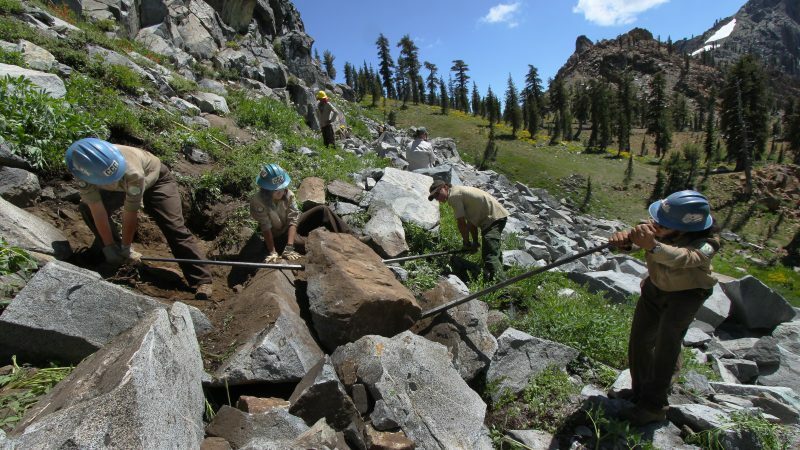 A proud tradition of excellence and conservation has been forged by the many members who have played a vital role helping to build, maintain and repair trails in some of California’s most magnificent wilderness areas. Each spring, the BCTP assembles six crews of men and women from widely diverse backgrounds who leave behind the conveniences and luxuries of modern life and venture into the mountains to spend five months doing some of the most challenging and ultimately rewarding work of their lives. The members who comprise each of these crews learn through experience the skills of trail maintenance and construction, and the process of building healthy, productive communities. Participants are offered an intense adventure with unique learning experiences in a truly spectacular environment. Those who complete the program will leave with renewed vigor, optimal fitness, augmented work ethic, and will be better able to live and work cooperatively with others. Highly regarded in the National Park Service, U.S. Forest Service, and trails community, the BCTP has offered a path for those interested in pursuing jobs and careers in related fields. 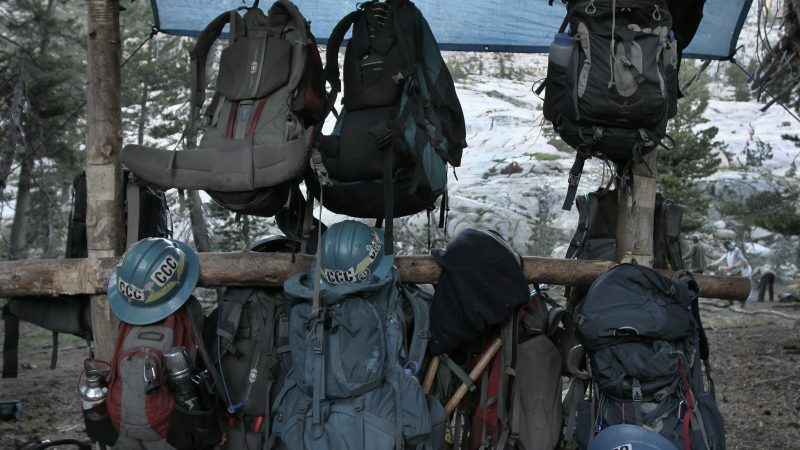 Over 600 former Backcountry Trail corpsmembers have been hired to work in Yosemite, Grand Canyon, Sequoia, Kings Canyon, various State Parks, and other parks and forests. Training like wilderness survival, living 5 months completely off grid, and the potential to earn more than seven thousand dollars in scholarship make the California Conservation Corps Backcountry program unique in the nation. Corpsmembers call the Backcountry experience unforgettable and life transforming. Applying for the Backcountry program? Check this page often for updates on the application process and instructions.